If you are looking to let your London property out on a short let basis then Landlord Direct can offer you an easy to use and low cost advertising and booking service. Landlord Direct is an established online letting agent operating in London and across the country. 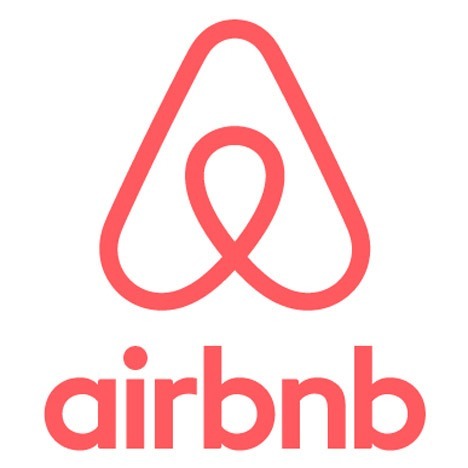 Although we use an online platform, we are a personable and approachable team who are experienced in taking short stay and holiday let bookings and also setting up longer flexi-let tenancy agreements for longer contract periods. Landlord Direct has teamed up with Fantastic Services who provide a wide range of property maintenance services that are perfect for the short-let market. 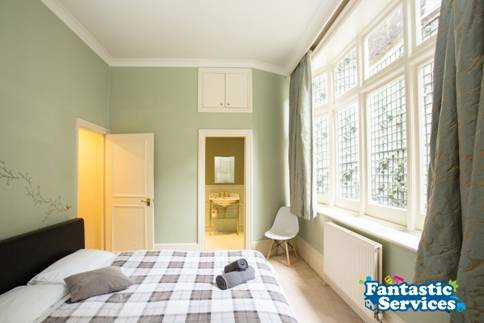 Leave your short-let clean-up needs to Fantastic Services, replenishing toiletries, fresh bed linen, and all! Opt for a frequency that works best for you. Just visit their website to arrange your one-off service or to set up regular maintenance. The company covers most London postcodes and offers flexible booking options, even on weekends and public holidays. Go to fantasticservices . com to check current prices and availability or Tel: 44 2078462609. Advertise your property on the most powerful short stay letting websites. You only pay for the bookings we generate for you, and there is no set up cost. Landlord Direct are an experienced third party advertising and booking agent for short stay / holiday let property to handle all booking requirements. This is an Ideal service for private landlords or companies looking for a back office booking service for their short stay serviced apartments. 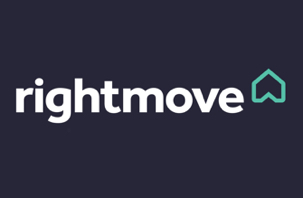 Your London short stay property will be advertised selectively on major letting websites: Rightmove, Airbnb, Holiday lettings , trip advisor ,HomeAway , We 'Channel Manage' these different websites and process bookings and payments on your behalf and update the booking calendar systems. Landlord Direct is not an automated booking system we are real people running a very busy letting service, just like a traditional short stay / holiday let company. We are here to assist short stay property owners with all aspects of their letting. Take Bookings - meeting your agreed criteria. Tel: 0845 602 2505 please ask to speak to our short stay manager Susan McKenzie. Whether Calor or Mains gas, it is a legal requirement for holiday cottage owners to obtain a 'Landlord Gas Safety Certificate' carried out by a Gas Safe engineer annually, we would recommend. You should obtain a 5 year periodic electrical certificate for your holiday let, and arrange for all portable electrical items PAT tested annual. Landlord Direct will help you write a fire risk assessment for your holiday let if it is a standard holiday cottage this should be a straight forward matter. Holiday let property must have a specialist insurance policy in place, general buy to let insurance is unlikely to cover the holiday let 'short stay' use. There are therefore specialist insurance brokers out there who are set up to secure you the correct insurance policy on good terms. Apart from insuring the actual fabric of the building, these policies protect cottage owners against Public Liability claims, absolutely essential when you have paying guests staying. If your property is leasehold, it will be covered under a block insurance policy, you should check with your property managers to see if the block insurance policy covers you for short stay / holiday letting. You may already have purchased your property on a Buy to Let mortgage, however if you have a lender for the property , please check with them that you are able to let out the property as a Furnished Holiday Let. If your property is leasehold, then you may find your are in contravention of the terms of your lease if you run a short stay business from your property. This can be a grey area so do check with your block mangers or freeholder or residents company directors. Most Local Councils do not currently consider short stay letting as a planning issue and most short stay properties pay Council Tax and are designated C3 Residential Property. However as in some London Boroughs, restrictions have been put into place to limit the amount of short stay letting to just 90 days per annum per property. All operators should continue to check with their Local Authority to their position regarding short stay lets, as it is likely that some restrictions may apply at sometime in the future. prohibit the supply of bunk beds which could cause a child to be injured or killed, as a result of their becoming wedged or trapped. A bunk bed must not have any: • gap in the bed base greater than 75mm (approx. 3") • gap elsewhere which is less than 60mm (approx. 2.5") or more than 75mm Any gap permitting access to the raised bunk should only be in the safety barrier on one of the long sides of the bed, and be of a minimum width of 300mm (12"). Note: The safety of mattresses is discussed separately in the section on upholstered furniture. By means of simple measurement, you should be able to make sure whether a bunk bed satisfies the ‘gap’ requirements detailed above. If you are in any doubt about a particular gap size, you should contact your local Trading Standards Service to arrange for more accurate measurements to be made with a special probe. The general safety of bunk beds can be simply tested by checking for such things as stability, rigidity, sharp edges etc. Some bunk beds may also be marked with a British Standard number. This is currently BS EN 747. As from 1st January 1997 all furniture in tenanted residential property must comply with the 1993 amendments to the Furniture and Furnishings (Fire) (Safety) Regulations 1988 which extends the scope of the Consumer Protection Act 1987 (CPA). This covers the supplying (hiring or lending) of specified goods (upholstered furniture and certain furnishings) "in the course of business". A landlord letting her own home over an extended period, perhaps to different tenants, would be deemed to be "letting in the course of business" and would need to comply. We would therefore strongly recommend that anyone, regardless of whether they see themselves as running a business or not, should make absolutely sure they are complying with these regulations. All upholstered items must pass the "match resistance test" as prescribed. All upholstered items must also past the "cigarette test" as prescribed. In the event of a tenant complaint or an incident the defence of "due diligence" may be accepted where it can be shown that the landlord or agent took all reasonable steps to avoid committing an offence – you will need documentary evidence of this. A private owner letting a single dwelling (his or her own home – not in the course of business) may in theory have some argument for defence, whereas an agent acting on his behalf will not. However, an agent merely introducing a tenant and not becoming involved in the inventory or management of the tenancy my well be exempt from liability. "someone who rents out a building or accommodation" including holiday cottage owners have a responsibility to prevent and risk control exposure to Legionella. The best solution is to pay a specialist contractor to carry out a Risk Assessment. If it reports a low risk it is unlikely you will need to re-assess annually perhaps every 5 years or of there is a material change. Window blind cords need to be fixed high enough off the ground to prevent young children being at risk, this is a legal requirement for all rental property some blinds are fitted with a easily detachable catch. Most holiday cottage owners, will not derive a turnover over the vat threshold , and so will not have to charge V.A.T. - but check with your accountant.